In 1899 The Hobart Homeopathic Hospital was opened at what is now our 90 bed modern Calvary St John’s Hospital. "I have been in many hospitals here, the mainland and overseas and as a health professional myself I can say without fear or favour that St Johns is the best." At Calvary we return all profits we receive to the people and communities we serve. Our Calvary Community Council is one avenue we do this. Calvary St John’s private hospital is located five minutes from the heart of the city of Hobart, Tasmania, in a serene garden setting with views of the picturesque Mount Wellington. 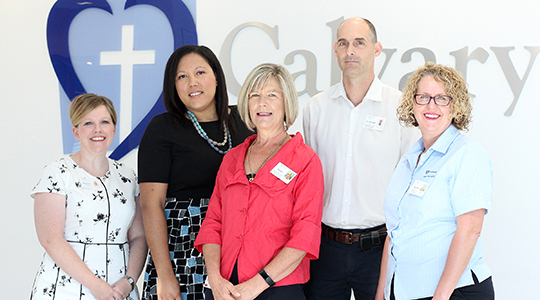 Along with offering the only Private Rehabilitation Unit in Hobart, Calvary St John’s offers an extensive range of health care services for the community including a contemporary day surgery unit.